Necessitea has provided me with Licorice Mint for the purposes of providing an honest review. Licorice Mint came to me in a resealable silver foil package. I like the minimalist look of the labelling – not too much information on there. 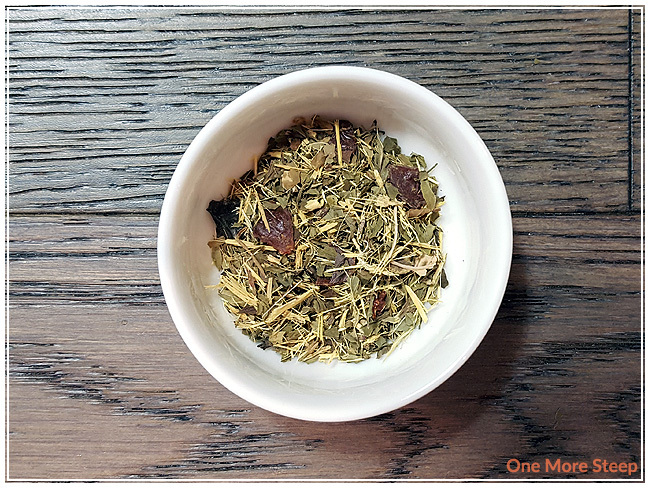 The dry leaf has an unmistakeable minty aroma – just the first sniff made me feel as though my sinuses were clear (even though I was not sick when I tried this tea). I’m not entirely sure what licorice root is supposed to smell like – however, I don’t smell anything that reminds me of licorice candy and whatever licorice root is supposed to smell like, it reminds me a bit of lemongrass. Just an overall burst of freshness, although it is overpowered by the mint. Licorice Mint consists of licorice root, mint, and rosehips. 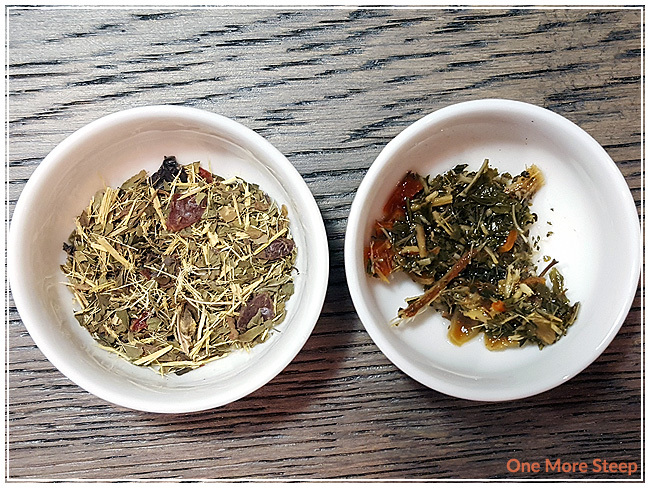 All three ingredients are quite visible in the dry herbal blend. There were no preparation instructions on either the packaging of the sample I received or on the product page on the Necessitea website. I opted to steep Licorice Mint at 100°C (212°F) for an initial steep of 4 minutes. Licorice Mint steeps to quite a bright yellow. I found the minty aroma from the steeped herbal infusion to be strong. The flavour of this tisane did not disappoint. 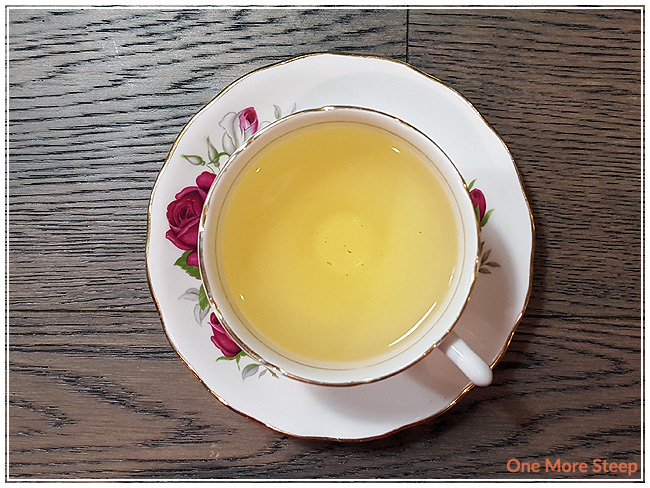 Each sip began with the freshness of mint, and tapered off into something a bit citrus-tasting, although I attributed that to the licorice root. There’s a sweetness to this herbal infusion that I wasn’t really expecting. However, I did do some Googling on licorice root and found out that licorice root is actually really sweet and doesn’t taste a thing like the licorice candy! (Lucky for me.) There’s something quite soothing about sipping this tisane that’s quite calming to the senses. I think it’s the combination of the aroma of the steeped tisane and the flavour that’s just very pleasant. 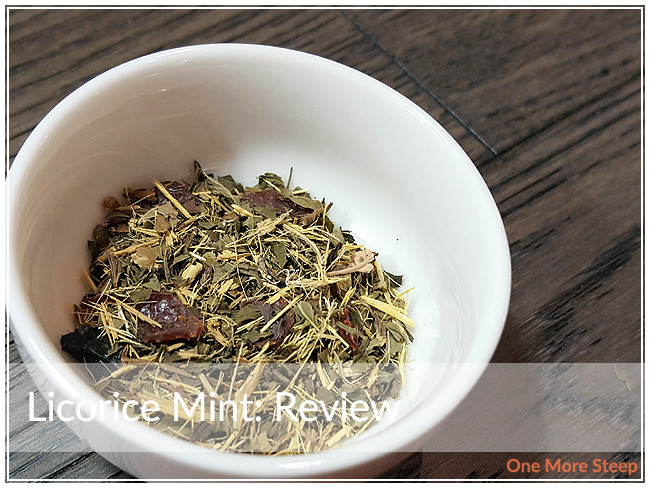 I attempted to resteep Licorice Mint and found it to be a very watery version of the first steep, I would say that Licorice Mint is good for one steep only. 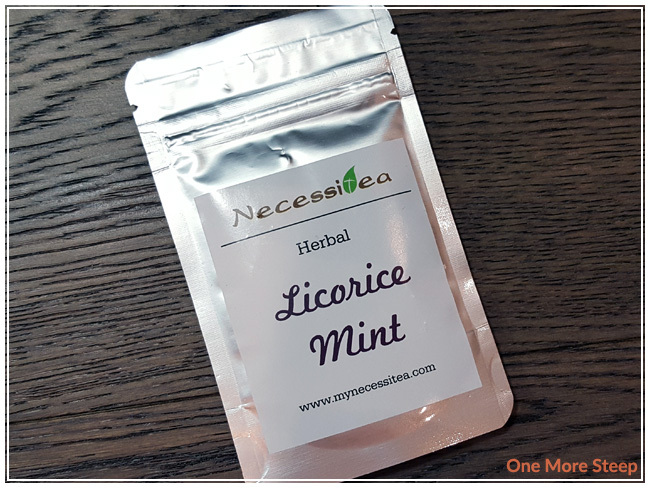 I liked Necessitea’s Licorice Mint. I did find myself a bit apprehensive at first, but this was my first exposure to licorice root and I found it surprisingly pleasant. I’m not usually one for herbal infusions, unless it’s fruit based (and iced! ), but I did enjoy Licorice Mint. I found the calming effects of just inhaling the aroma of the mint and licorice rot to be quite soothing. It’d be a great drink for late night since it’s naturally caffeine free. I wish it had done decently well for a second steep, since it does smell so good from the initial steep.